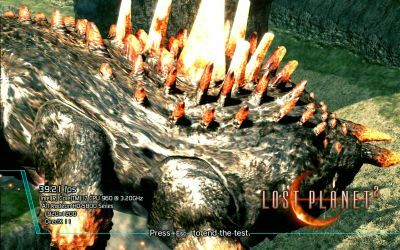 MSI Kombustor 1.1.3 has been used for the test. 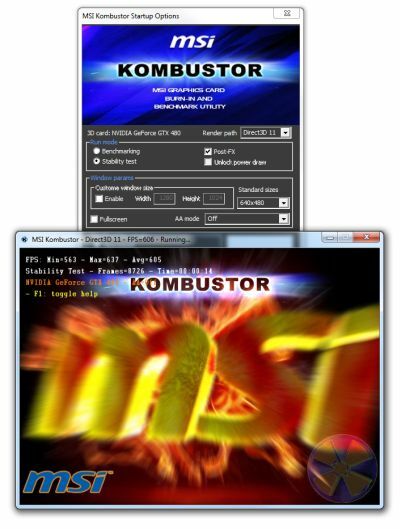 MSI Kombsutor is a Direct3D 9, 10, 11 and OpenGL 2 and 3 stress test and benchmark. 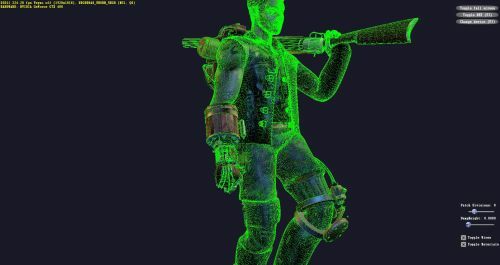 I only tested the Direct3D 9 rendering. Settings: 1920×1080 fullscreen, no AA, no postFX, 60sec, Unlock power draw CHECKED (the real benchmark mode!). Settings: windowed (default size) and default params (tess factor: 12). 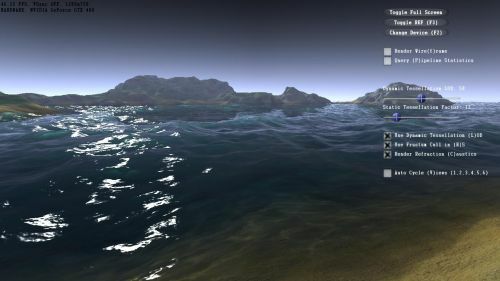 SubD11 is a Direct3D tessellation demo from the DirectX 11 SDK June 2010. 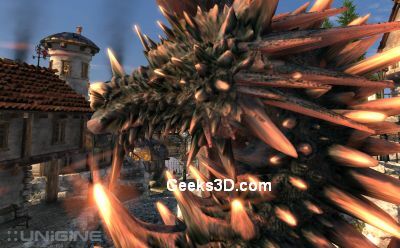 3DMark06 is one of the most used Direct3D 9 benchmark. It’s still interesting to have the scores for this benchmark. Settings: default: 1024×768, fullscreen, 0XMSAA, 4X aniso.